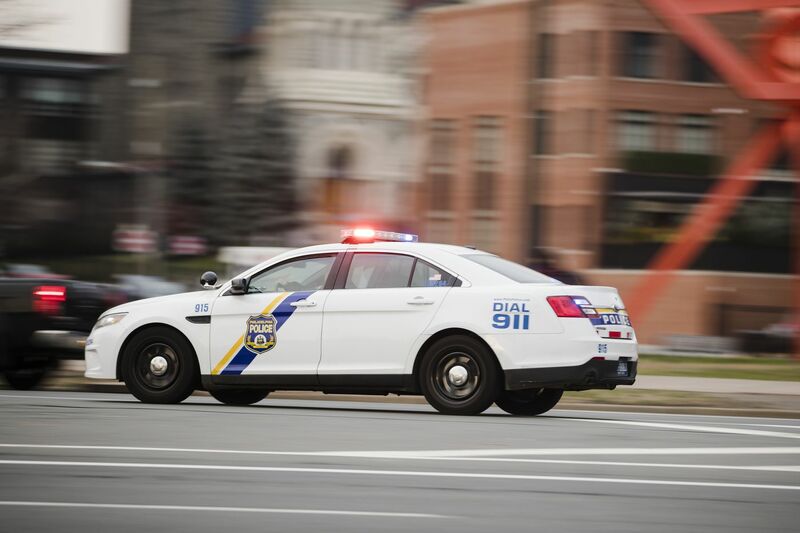 A police car drives with its lights flashing in Philadelphia. A 26-year-old man was shot and killed Saturday night in Philadelphia’s Hunting Park section, police said. No arrest has been made, and police had not identified the victim as of early Sunday afternoon. The man was shot twice in the head and several times in the torso and legs about 10:30 p.m. on the 500 block of West Luray Street, according to Officer Tanya Little, a spokesperson for the Philadelphia Police Department. He was taken to Albert Einstein Medical Center and pronounced dead shortly after 11 p.m., Little said. Police did not recover a weapon.